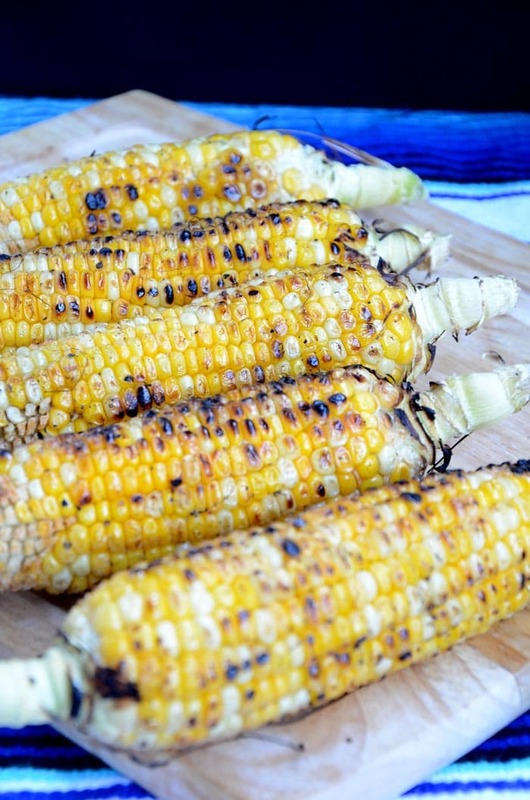 BBQ’d corn, where have you been all my life?? You’re quite delicious, I have to say! 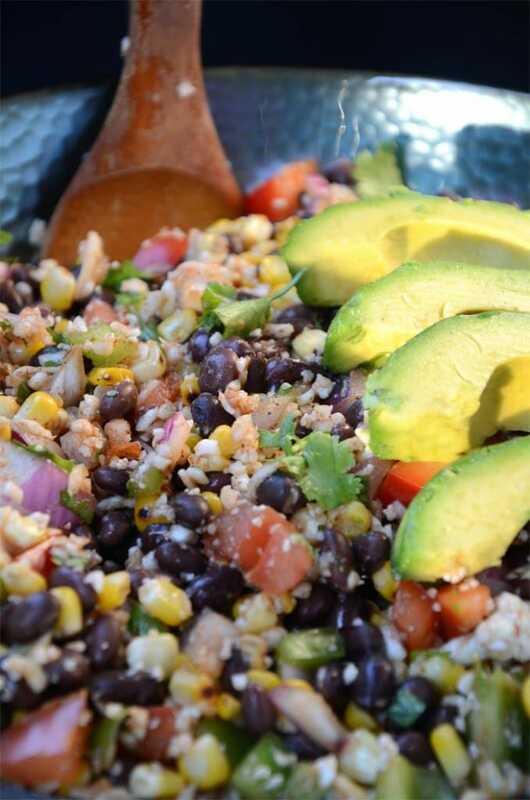 And added into this fresh Mexican-inspired Grilled Corn Black Bean Salad, you’re just about perfect. I’ve been so lazy in the kitchen lately, pretty much eating salads everyday. Our apartment is about 1000 degrees right now, even though it’s only 25 or so outside. It’s a sauna in here and I can’t bare to turn the oven or stove-top on…salads, salads and more salads. 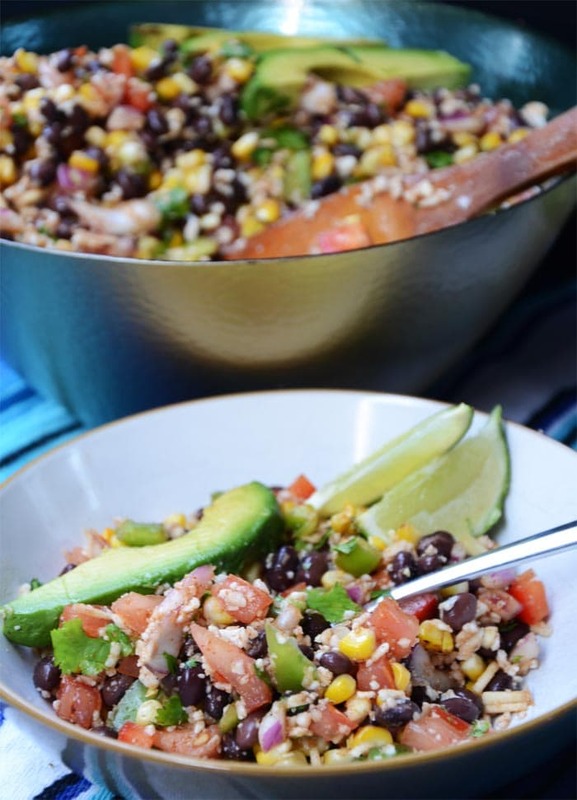 This beauty of a salad features some of my favourite ingredients: black beans, cilantro, avocado, lime, cumin …all mingling together to make a beautiful, fresh, made-for-summer bowl of yum. If you want to get real crazy, top it off with some crushed tortilla chips. Place the cobs of corn in cold water and soak for 30 minutes. While the corn is soaking add the rest of the ingredients to a large bowl. 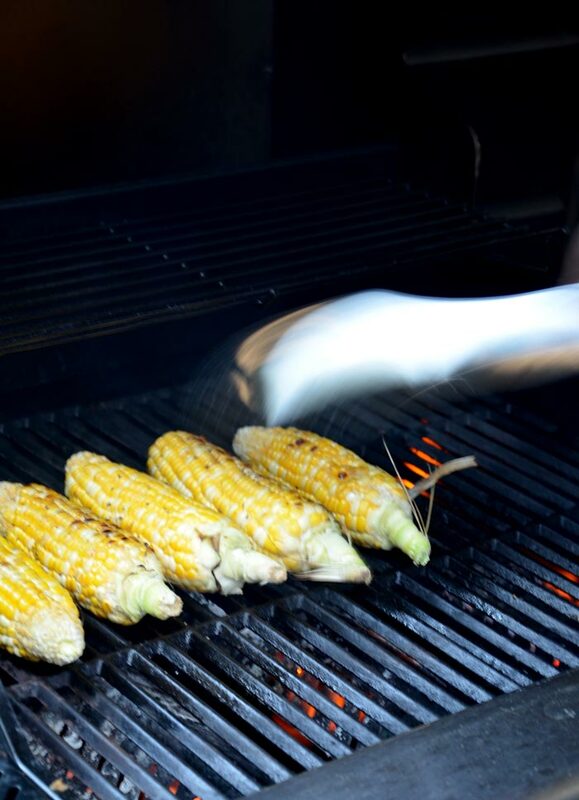 After you’ve soaked the corn, brush each cob with olive oil and sprinkle with salt and pepper. Grill on the BBQ for about 10-15 minutes over medium heat, watching carefully not to burn. 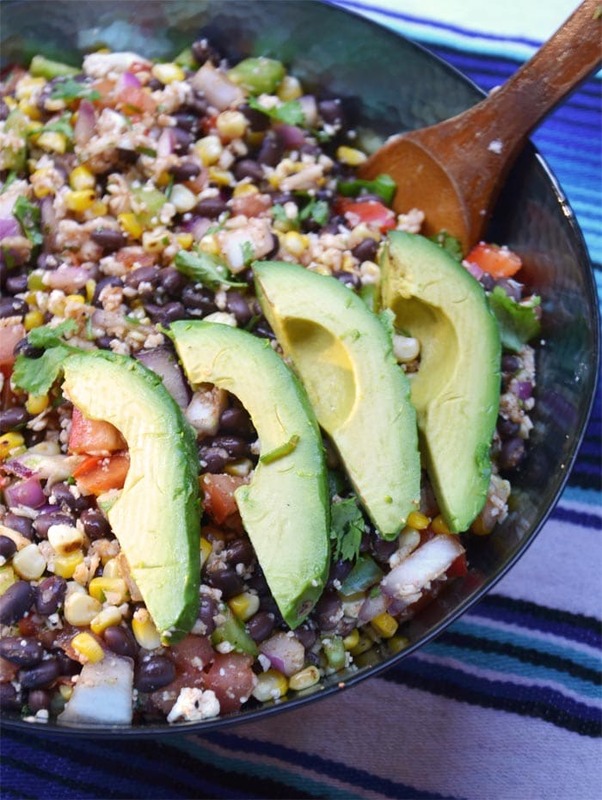 Cut the corn off the cobs when finished and add to the rest of the ingredients. 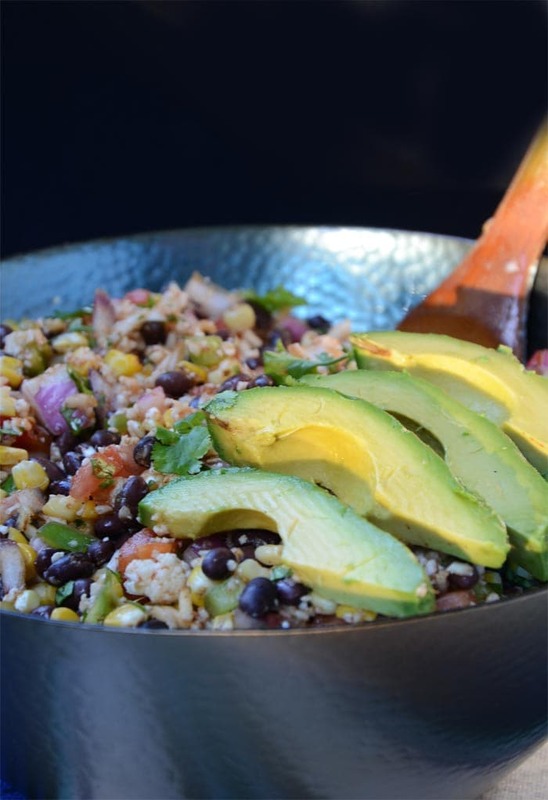 I decided to add grated cauliflower in place of a grain, but it would be awesome brown rice or quinoa too. If you want to go a bit more substantial, replace the crown of cauliflower with 2 cups of your choice of grain. There are few things I love more than Mexican food. I NEED to make this. Wow! These photos are beautiful Deryn. I am so with ya on the salads, or just eating cold things. I miss eating corn on the cob but corn absolutely hatessss me. Silly tummy. I am definitely going to show this grilling method to my dad…. he loves corn and his bbq! I’m making this for lunches this week Deryn! Looks yum!! That really looks good. Make’s me want to make one but I don’t really cook! lol! I’m going to save this link and show this to my wife later. We’re going to have a really good dinner later. I’m excited! Thanks to you. Consequently tasty! That appears to be amazing!